Browse: Home / A glimpse into the afterlife? 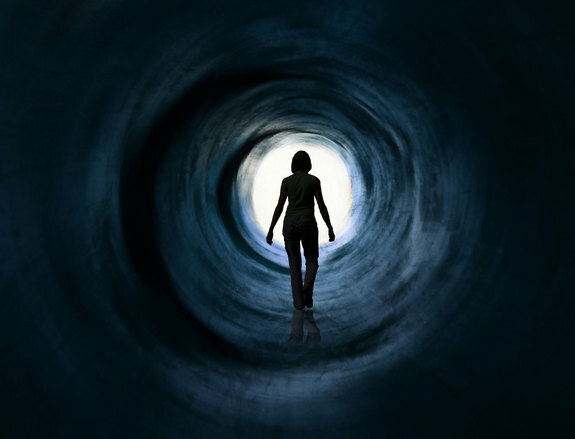 Researchers from the University of Liege in Belgium have looked at the common features of near death experiences (NDEs). Charlotte Martial, lead author of the study, said: ‘To the best of our knowledge, no study has formally and rigorously investigated whether NDE features follow a fixed order or distribution. The researchers collected and analysed written accounts from 154 people who had gone through a near death experience. Their analysis showed that each person experienced around four different phenomena during their experience. The most frequently reported features were a feeling of peacefulness (80 per cent of participants), seeing a bright light (69 per cent) and encountering with spirits/people (64 per cent). In contrast, the two most uncommon experiences were speeding thoughts (five per cent) and precognitive visions (four per cent). In terms of chronology, they found that a third of the subjects experienced an out-of-body experience as the first feature of their near-death experience, and that the most frequent last feature was returning to the body (36 per cent). Overall, the most common order of occurrences was: out-of-body experience, experiencing a tunnel, seeing a bright light, and finally feeling of peace – a sequence that was reported by 22 per cent of participants. While similar sequences were found between participants, the researchers suggest that each near-death-experience has a unique pattern of events. Ms Martial said: ‘Our findings suggest that near-death-experiences may not feature all elements, and elements do not seem to appear in a fixed order. ‘While near-death-experiences may have a universal character so that they may exhibit enough common features to belong to the same phenomenon, we nevertheless observed a temporal variability within the distribution of reported features. ‘This raises significant questions about what specific aspects of near-death-experiences could be considered as universal – and what not.